Hi everyone! 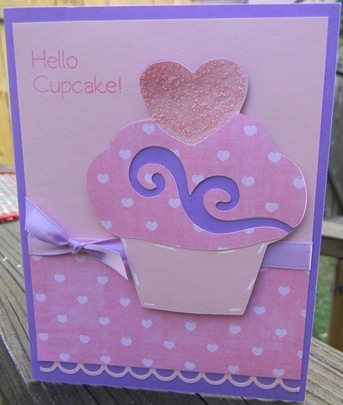 Here's a quick card before I get to the winners :) I made it using my new E2 last night -- I LOVE this machine!!! And I haven't really figured the features out yet, but it cuts wonderfully! I just did this so quickly last night night. I'm working on some DT work for My Pink Stamper. She's releasing some great stamp sets on Friday and then Saturday is National Scrapbook Day. You really want to tune in for all the fun!! great card..need to take my e2 out of the box!! Cute card. Love the colors. Good job. I just have to get Robyn's stamps. See you Sat at MPS for NSD.